Concrete work can be a vital part of any masonry project. 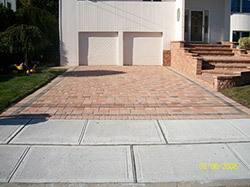 A fresh new sidewalk will complement any new driveway or walkway. Our experienced installers have many years of experience ensuring that you will receive only the highest quality installation available.